Yeovil, literally meaning the vil or town on the Yeo, derives its name from the River Yeo. 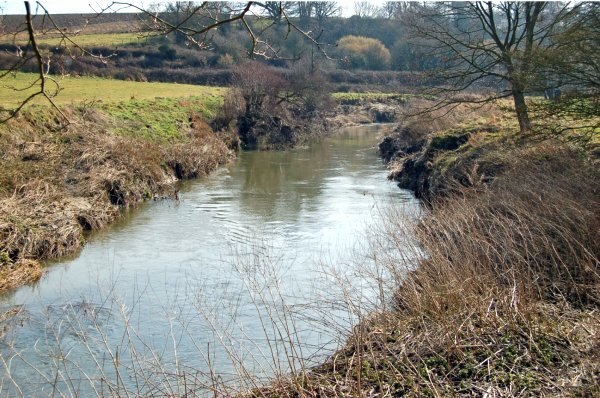 The River Yeo rises in the North Dorset Downs near Henstridge Bowden and has a total length of 15 miles (24 km). It flows through Sherborne before flowing west before reaching the southern edge of Yeovil where, for a few miles, it is the county boundary between Somerset and Dorset. On reaching Yeovil it turns to flow northwards to Yeovilton and Ilchester. For its last few miles beyond Ilchester (where the Romans built docks and a quay) it is navigable, finally joining the River Parrett near Langport. 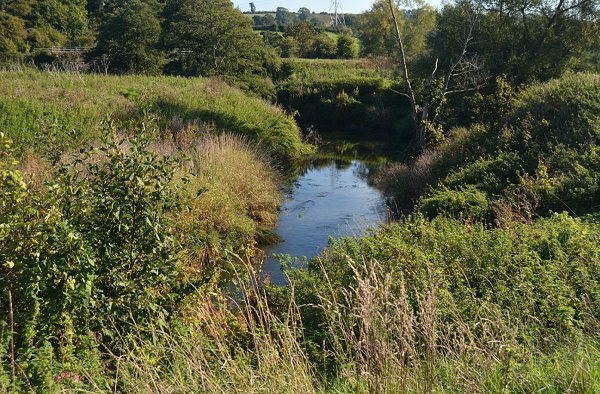 In 1836 Phelps wrote "Another stream rises near Charlton-Horethorne, and waters the vale below, passing by Milborne-port, and is one of the sources of the river Yeo. 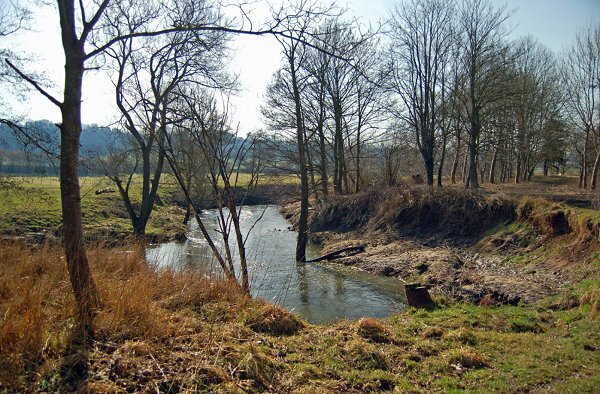 On the south-west of Charlton one mile, and close to the turnpike road leading to Sherborne, is a pond supplied by seven springs, called the Seven Sisters, and is the source of a small stream, flowing by Pointington, and falling into the Yeo, near Sherborne, which winds its course near Yeovil, and passing Ilchester joins the river Parret near Langport. 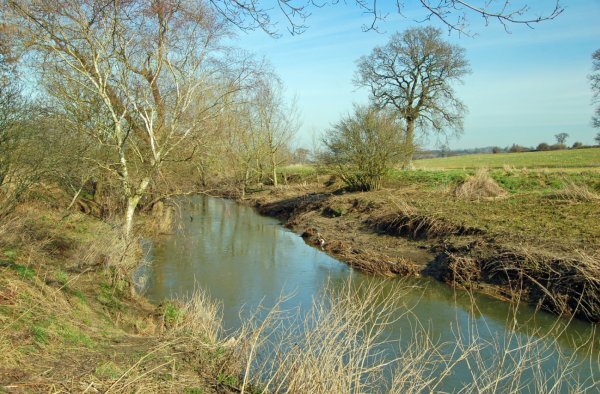 The river's name derives from the Celtic river-name of gifl meaning 'forked river'. The abbreviated name, Yeo, was probably influenced by the Old English word ea, meaning 'river'. "11 February 1895: It is said this is the severest winter we received since 1854 - phenomenal frost - rivers that have not been frozen over for years are now frozen to a great depth - skating is freely indulged in. Our river Yeo is frozen over a circumstance that has not occurred for a number of years. But, alas, great distress abounds through numbers of people being thrown out of employment, and the death roll has been swelled by the many who have perished of want and exposure. Of course the charitable are doing all in their power to alleviate suffering and distress." 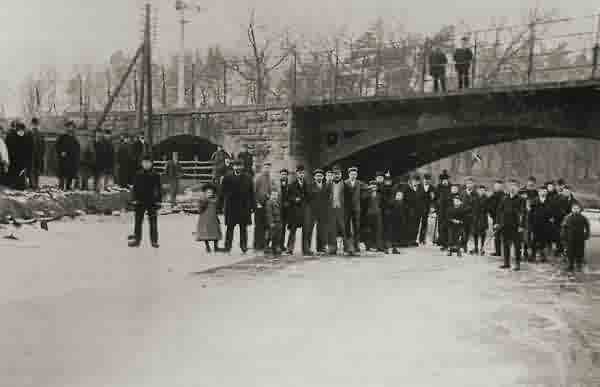 "15 February 1895: An Ice Carnival held on river Yeo last evening." 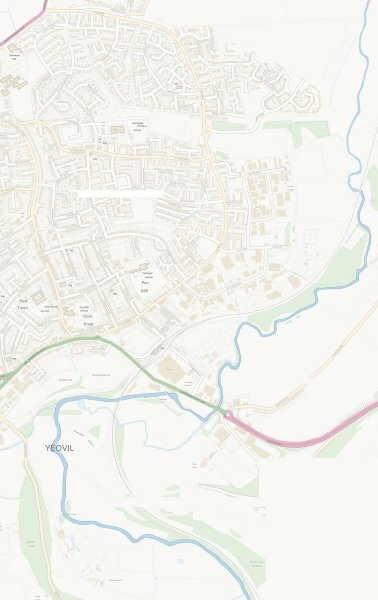 The route of the River Yeo as it skirts the southern and eastern flanks of Yeovil. Ice Carnival on the River Yeo. 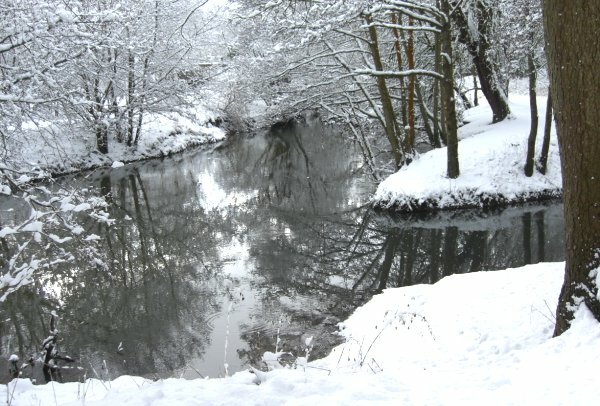 River Yeo in the snow. Photographed February 2009. The River Yeo, seen from Riverside Walk and looking towards Babylon Hill. Photographed 2010. The River Yeo, seen from Riverside Walk and looking towards Trent. Photographed 2010. The River Yeo, seen from Riverside Walk close to Pen Mill Trading Estate. Photographed 2010. The river banks tend to get overgrown during the summer. Photographed in 2013.